Having a baby is an eye-opening experience, which changes perception of one’s life forever. 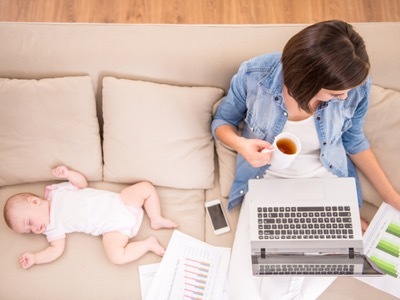 However, they say that it’s not always a good thing for a career, as going back to work after being a stay at home mum can be really tough. Bear in mind that it’s you who defines your path in life. Who said that you could only be a mom? Who said that it’s bad to have a job and be a great mother? Who sets these rules? It’s you limiting yourself with no reason. At the beginning, it’s better not to rule out working from nine to five, as it can be stressful and unusual for you. In view of this, you can always go for part time careers for moms. It’ll allow you try your hand at working again and you’ll still have spare time to look after your beloved infant. The job market is constantly developing and the things, which were used yesterday, can be of no use today. That’s why the other vital thing in job search is to refresh your skills, which will not only help you become more confident but also will serve as a great plus in your CV. You can attend some courses, read a book relevant to your field of work, and visit a master class or a lecture. Besides, you already mastered one of the most imperative ones – your problem solving skills, don’t forget about it. 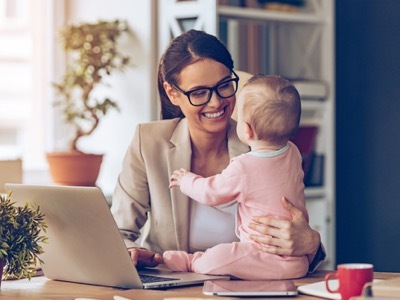 A long gap in career gives one a lot of time to think and reevaluate one’s goals, so you may need to start from scratch in a completely different field than you’ve worked before your pregnancy. So do your best and rediscover the ‘new you’, browse all good career for moms and understand what is it that you want to do now. Think about it long and hard, don’t rush. 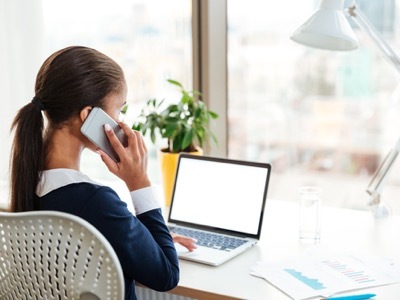 Communication is everything, so make sure to contact people who can help you in the process of job search. Make use of various social networking web sites to get in touch with your ex-coworkers or a boss from your former place of employment. Visit some seminars and conferences related to your field – that will deeper your knowledge and will help to make useful social contacts. Next step is to write a resume, which will explain a gap in your career, show your outstanding knowledge in the field and catch the eye of a recruiter. That`s why you are to check your outline for errors, include relevant experience and utilise latest tools to make your resume look perfect. Put your skills right after personal info and only then place your work experience (not chronologically ordered to show your outstanding performance and divert attention away from the gap). The milestone here is to define your gap in a resume correctly. To do so, you’ll need to state the reason for your unemployment, mention that this cause is no longer an issue and highlight your strong sides. If you still need some expert help, you can hire a professional career coach who`ll aid you in discovering the best career trajectory and ways to achieve professional acknowledgment. Following task is to prepare for the interview, as it’s a nerve-wracking process, which requires a lot of patience, confidence and enthusiasm, you may need to practice. The simplest way out here is to exercise with the person you feel comfortable and in front of the mirror. It’ll show your weak sides, reveal any inappropriate facial expression and train you for a real talk. Create social accounts (if you still don’t have them) to show that you’re up-to-date with the pace of life in the world outside your home. The first one in the row here is LinkedIn, which is used by multiple recruiters to find new employees. So, make sure to include your personal data on such web sites (like Facebook, LinkUp and alike). Do not forget to follow various groups, which are related to the field of your desired vacancy. Moreover, it`s a good idea to write comments and interact with people working in the area. To avoid that guilt that you may not be able to perform your home tasks on time, pay attention to your child properly and still be a good worker, you’ll need to negotiate with the company`s boss your schedule. Try to look for a family-friendly employer who’ll understand the difficulties you`re facing. 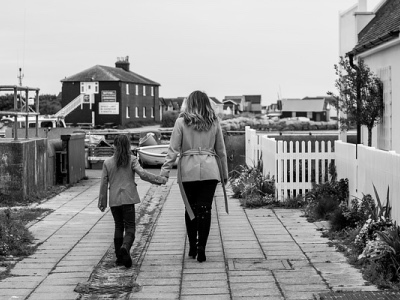 It’s vital to deal with the issue of flexible jobs for mums, as it defines both your personal and professional life. Now that you are aware of the challenges, which may arise, you are to spring into action and bring the inspiration to be the woman who has it all – close-knitted family, peace in mind and successful career – to life. Your living is the choice of yours, so choose to be different. Alice Berg – a blogger from Bath, and a consultant at SkillRoads, who received master’s degree in Social Work and Applied Social Studies. Now she helps people to find their own way in life, gives career advice and guidance, helps young people to prepare for their careers. You can find Alice on Twitter and Facebook.